The Marvelettes broke down racial barriers and bankrolled Motown with their early hits but in later years watched helplessly as they were almost completely erased from the label's history. 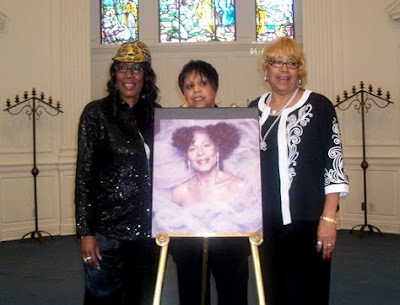 In the days after group founder and lead singer Gladys Horton was laid to rest, Charles Thomson spoke to her family, friends and fellow Marvelettes. Everybody has heard a Marvelettes song - Please Mr. Postman is one of the most ubiquitous pop songs of all time - but very few people have heard the group's story. Often disregarded as a one-hit wonder, the Marvelettes are arguably one of the most important pop acts of all time, perhaps changing the course of popular music forever. The Marvelettes joined Motown in 1961 when the label was relatively unknown, having scored only one million-seller (the Miracles' Shop Around) and never had a number one hit. The group's first single, Please Mr. Postman, captured the public's imagination, stayed in the charts for three months and hit number one on both the pop and R&B charts. Throughout 1962 the girls remained Motown's most consistent hitmakers, rescuing the label from financial uncertainty. In other words, without the Marvelettes there may never have been a Motown as we know it today. However, in later years the group had their royalties cut off and were excluded from the label's anniversary celebrations. The Miracles were increasingly credited with scoring Motown's first number one record instead of the Marvelettes. Then the girls were legally barred from performing under the name they made famous. On January 26th 2011, group founder and lead singer Gladys Horton died after fighting for more than 20 years to regain control of the Marvelettes name. In the days and weeks after her death I interviewed original Marvelettes Katherine Anderson Schaffner and Juanita Cowart Motley, as well as Motown legend Martha Reeves and Gladys's son Vaughn Thornton. 'Saying Goodbye To Gladys' is the Marvelettes story, as told by the people who lived it.